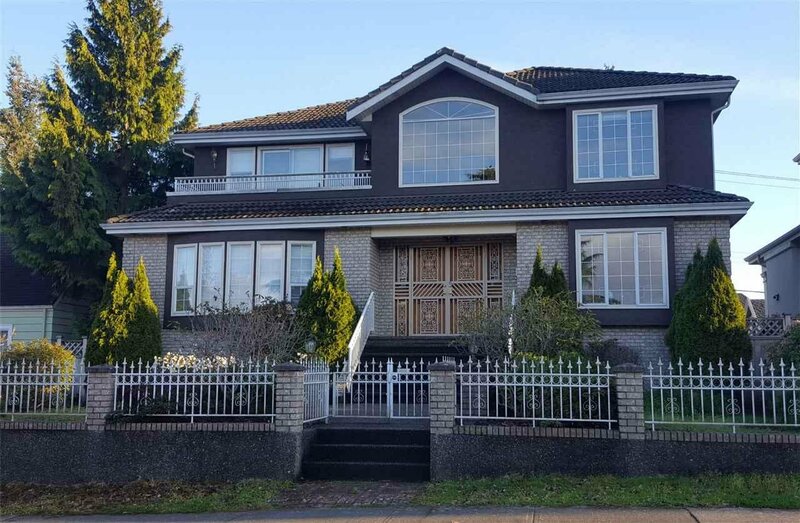 GORGEOUS HOME IN SOUTH GRANVILLE LOCATION! BEAUTIFUL HOME OVER 4,430 sq.ft. custom built by German builder. Sits on high side street, Big Lot 59 x 124.38 sq.ft. Definitely this home offers Quality finish excellent lay out plan. Total 7 bedrooms, 8 baths, extensive used hardwood & marble thru-out open Staircase. Gourmet Kitchen cabinetry and appliances, radiant floor heating system, secured fenced yard with Park-Like Garden & Southern EXPOSURE BACKYARD. Close to well know school catchment; ERIC HAMBER HIGH SCHOOL, SIR WILLIAM OSLER ELEMENTARY. YORK HOUSE, CROFTON HOUSE & ST.GEORGE'S PRIVATE SCHOOL, UBC, OAKRIDGE MALL, RICHMOND, DOWNTOWN, TRANSIT. EXCELLENT PRICE! MUST SEE!